Home & Office Junk Removal Barking and Dagenham RM | Quality Property Care Ltd.
We’ve worked in Barking and Dagenham RM for 10 years now and are sure our staff can help you with your expert domestic or commercial junk removal. 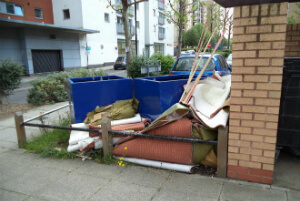 Call 020 3746 4287 for the finest rubbish removal in the area and get your money’s worth every time. Junk removal services from Quality Property Care Ltd. is available for you. The supportive and helpful technicians work every day - with no exclusion for weekends or national holidays. You can arrange an express service or to name your particular instruction about the treatment. If you have any concerns about the rubbish, we give a free consultation with free tip on the organization. Speak to our professional rubbish removal customer support representatives right away! Use this phone number: 020 3746 4287 to get more detailed data or to arrange your junk removal service. Note that we are available for express services. Re-scheduling is possible and absolutely free. Anything you need cleared out and removed, you can rely on the trained, experienced and vetted staff of Quality Property Care Ltd. to collect the rubbish, and take care of the disposal of different types of rubbish securely and in accordance to all regulations at a great rate. After you receive the primary price estimate and book a visit, the rubbish removal operators will come to the location, and estimate the actual price in accordance to the specific quantity, volume and type of the stuff or other waste you need to take out and dispose of. The waste will be packed, transported and disposed of in accordance to all polices for eco-friendly waste disposal. We work inside the bedroom, living room, children’s room, garden, hallway and kitchem. We can safely and securely remove and dispose of bedside tables, beds, wardrobes dressing tables, chests or drawers, mattresses, armchairs and sofas, living room storage, coffee and side tables, TV stands and cabinets, console tables, shelving units, cot beds, , wardrobes, storage furniture, desks and chairs, bunk beds, playgrounds.. In the kitchen we remove dining tables, dining chairs, stools and benches, barbecues, umbrellas, shoe cabinets, racks and stands, hoods and hangers, wall shelves, baskets, portmanteaus. There are household items like fridges, freezers and so forth that need special disposal and have extra fees attached to them. While on the phone be sure to mention that type of sofa we are taking out as this will help us determine how many men and what equipment to take. We prefer that you bag the items before we come, however, it is not necessary as our team can do that too. Starting with single mattresses, tables, washing machines, ovens,, cupboards, PC monitors, double mattress, divan beds, dryers, TVs, Kitchen units, armchairs, single beds, fridges, TV stands,, mirrors, 2 seated sofa, double bed, freezer, book shelves, microwave, carpets, 3 seat sofas, king sized bed, wardrobes and bathroom tubs. These are just to name a few. Pieces like tires, macrowabes and TVs are charged extra as they require a special disposal method to ensure their safe removal and recycling. The junk will not disappear by itself, but will only get more and more! So deal with it once and for all without even sweating. 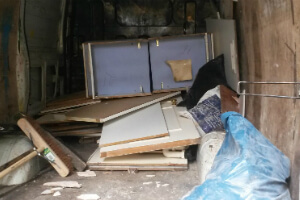 Make a reservation for junk removal services in Barking and Dagenham RM now! Use the online booking form and finish your reservation in no time. Call our helpful operators on 020 3746 4287 phone number now! We will re-establish the order and the cleanliness in your home as soon as possible and at fraction of the cost!